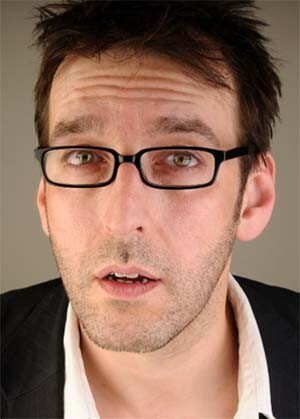 John performed stand up regularly from 1996-2000, then left the circuit to host and co-create The Recommended Daily Allowance (The RDA), a nightly comedy/talk show for BBC Choice, which by turns infatuated and infuriated BBC bosses and won a devoted mini-following, running for two years until the channel was rebranded as BBC Three. He has also directed countless live shows, including the Perrier-nominated offerings of comedian Reginald D. Hunter, as well as two seasons of the celebrated weekly gang show Ealing Live! He also directed/produced/edited Eddie Izzard's Unrepeatable and Live at the Ambassadors shows, as well as various comedy shows for BBC, ITV & Channel 4, but not The Office or anything really interesting like that so let’s stop the barrel-scraping before it gets sad. John’s 2nd stand up show, Divide and Conga, went on to become one of the most acclaimed of Edinburgh 2008, receiving 4 and 5 star reviews across the board. John is currently performing all over the UK, @ the Comedy Store, Jongleurs, The Stand, The Glees and other places people say to prove they’re doing well. He has also done stand up in Hong Kong, Bangkok, The Alps, Bahrain, Madrid, Barcelona and Cyprus as well as at the Amsterdam Comedy Festival and Latitude.